Many of you have been dropping me emails or messaging me on my Facebook page asking for skin care tips. I’ve to say it’s not always easy to provide suitable recommendations especially since our skin conditions tend to differ. However, I thought I’ll share 10 of my skin care tips for those who are interested. By the way, I have combination skin type with an oily t-zone and dry cheek area. I have been doing this since my twenties when I started wearing makeup. Call it pre-cleanse if you like, I’ve always relied on a milk/cream cleanser to remove my makeup or sunscreen before using a foaming cleanser free of SLS at the end of the day. This is something I started doing like two years ago. My routine is a simplied version of the Tanaka facial massageÂ which I do during my facial cleansing routine. If there’s one thing I can’t leave home without, it has to be my sunscreen. While a sunscreen cannot block out UV rays totally but I’ve realized that applying a good sunscreen helps my skin tremendously. On top of using sunscreen, I avoid the sun as far as possible and always use an umbrella to give my skin more protection. While there are many active ingredients that are said to be great for our skin, my favorite is vitamin C. I will use a vitamin C serum a few times a year and usually use the product continuously for 60 days and stop for a month or two before resuming the routine again. I’m an avid user of facial oil and I will use a mix of different oils to moisturize my skin. Current favorites are sweet almond oil and argan oil. Exfoliation is an important step in my skin care. I’ve found that this helps to clear up my skin a lot overtime. I would love to exfoliate my face daily but that’s totally not a great idea. So twice a week is about what I aim to do. Okay, this sounds like a cliche but yes, drinking water is important for me. If I don’t drink enough water, I find my skin tends to dry out. However, I only drink filtered, mineral water these days. In addition, I also reduce intake of cold drinks and only drink tea once a day (I don’t drink coffee). I’ve been taking a probiotic supplement, Kordel’s Mega Acidophilus, for two years and this is what has helped kept my acne under control. I’ve also been taking the AFC Japan Collagen Beauty in the night for firmer skin. I am quite watchful about what I put in my mouth. As far as possible, I avoid eating foods containing refine sugar and dairy. But I admit it’s not always possible. Sleep is so important because when I don’t have sufficient sleep, my face is the first to show. 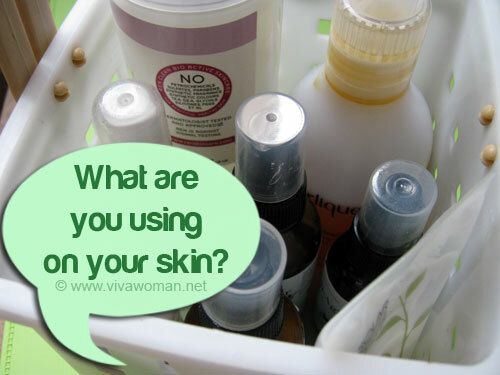 All right, I’m not going to ask you for your 10 skin care tips but if you like, you can share them with me or just tell me what’s your primary skin care tip that you can’t do without. I double cleanse at the end of the day too! I use sweet almond oil to remove my eye make up and I find that it’s making my lashes grow faster. Oh yes, sweet almond oil helps with lash growth! How do I use sweet almond oil to help lashes grow? Brush it on like a mascara? What brand of sweet almond oil do you recommend? Yes, you can do that…or if you have a think lip liner brush, that’ll do too. I use the one from NOW skincare available at iHerb. Great tips! I couldn’t agree more. What Vitamin C product do you like to use? Wonderful routine you have, very similiar to mine, thanks for sharing. Lately I’ve been lazy with the facial massaging though; but I’ve introduced a 2x a month dermaroller routine, I do myself, and it has truly enhanced the firmness in my face. Oh dermaroller is great but I don’t do it anymore cos I find the after care troublesome. Awesome post Sesame!! It gives me a rough idea on what im doing right & not. I basically does all the mentioned stuff except massage (too lazy!!) and cutting down on the sugary intake (can’t resist chocos 🙂 ) I didnt know Vit.C could be applied daily, i only use 3x a week coz im afraid it will be too drying. I eat chocolates too! But those with at least 55% cocoa. I started using vitamin C through the recommendations of an aesthetic doctor and he, along with another one, mentioned we can use it daily. But my take is not to use it continuously all year round. And for different skin types, perhaps not applying daily if you find it drying. I think I may have a problem of using it around my eyes. I forgot that my eye serum has it and I seem to spot more fine lines. Otherwise, I have no issues using it on my face daily. Ahhhh…well it didnt make skin dry for n0w but i just had the idea that it might since i only mix it with water. I apply MVO AAO+ 15mins after that. I couldn’t agree more. Staying hydrated and getting more sleep are the two that I cannot over emphasize. 2 liters sounds like a lot, but what I do is get a large liter glass and keep sipping it all day long. I usually refill it around lunch and when I finish I know I had 2 liters. Easy. Not drinking all of that at once but like you, drinking little by little and so it’s about 2 litres at the end of the day. Ningrum last post is: Citraramya Jatuh Cinta! I double cleanse with cleansing oil + gentle facial cleanser. I avoid junk food and sweet drinks but desserts are difficult to stay away from. I use a lot of products with antioxidants (serums + moisturisers). I have two sets of serums and moisturisers for different areas of my face as I have combination skin (oily t-zone, normal cheeks). I do my due diligence with sun protection (sunscreen + stay indoors + umbrella). Sounds like a good regime! I agree that desserts are always a temptation. I’m trying to apply my vitamin C serum daily, too– at least recently. I’m testing a new formulation that I can apply everyday because Vit C can sometimes dry my skin too much. Hope it turns out well. Argh, my pigmentations are showing up again! Drying…hmm…I wonder if that could be why the fine lines around my eyes are more obvious. Great tips! I have been using vitamin C for a while-it really helps with the brightening of the skin. What are your thoughts on Retinol? I usually avoid Retinol because it’s a bit controversial – it thins the outer layer but thickens the inner. I’m concerned of it causing photosensitivity. But I’ve used it before and it works well for lines. I love your tip on double cleansing. I’m looking for an SLS free foaming cleanser. May I ask what brand your using? Water and sleep! Those will help you live forever! Haha…forever? But yeah, they’re prime! Hi Sesame, Thanks for another great, informative article. I’ve been taking vitamin C for years now, but I never knew it was also good for the skin. Do you have any tips to help reduce wrinkles around the eyes? Using oil can help but it would take a longer while. What I’ve experienced is immediate reduction of the fine lines but the wrinkles don’t go away completely. Water is my number one skincare tip. I’ve recently tried drinking 1 litre of water immediately after I wake up. It’s an ayurvedic method to flush out toxin. Have you heard about it? Read about it but I think it’s too much water to drink. Drinking too much water can be fatal too. I prefer to drink just one glass/cup first thing in the morning and then gradually up to 2 litres or slightly more throughout the day. Avoiding food is so far the toughest for me! The sunscreen and Vitamin C is an absolute must. I actually use the Reviva Labs Alpha Lipoic Acid, Vitamin C Ester and DMAE cream and have had good results with it. It is reasonably priced and contains all the topical treatments recommended in the Wrinkle Cure by Dr. Perricone, except the sunscreen. Drinking enough water per day actually is not only important for healthy skin, but for health in general. Michelle last post is: Will Idol Lash Enhance Your Eyelashes? Thanks for the great tips! I wonder where can I find 20% zinc sunscreen? The most I have seen has only 17%, thanks in advanced! The sunscreen I use – Marie Veronique Organics Moisturizing Face Screen has it. I wanted to ask you, between two reputably natural products (in my case facial oils) are products with less on the ingredients “better” for us? If it’s oil, then it may not necessarily be less is better. But I would say it depends on what type of ingredients are in the mix. Those that I found very good are a mix of different oils plus essential oils that are beneficial for our skin. you put diary instead of dairy lol! Do you use facial oils as a moisturizer because your skin is dry or do you have oily skin and the facial oils actually help to reduce the oiliness? I’ve heard mixed reviews of using facial oils, so just curious as to why you chose oils for your regime. I use it because I find the benefits are purer if I use the oils directly vs the oil found in a cream. However, I do apply a lotion over the oil. I think it depends on skin type and the suitability of the oil for that skin type. Not all oils work great though. What toner are you using? Is it if I use the sweet almond oil, I don’t have to use moisturizer cream anymore. What lotion did you use after apply the oil? I am currently using a Japanese lotion from Fancl. No, not using this now. It’s a new one that will be launched later part of this month. But this one should work. Surprisingly, recent research is starting recommend only cleansing once a day. Twice a day has been the recommendation for many years. Will be interesting to see if the research changes our habits. Especially liked your recommendation for drinking water. Hydration has a bigger impact on your skin than most of us appreciate. I saw kay comments above wi regard to the use of natural oil for double cleansing. Would if be effective for non organic make up product?? 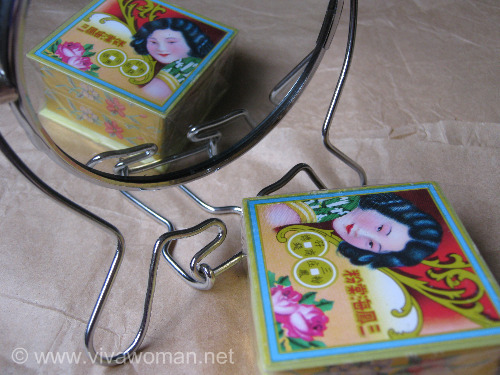 As the use of oil for removal will be more effective for makeup product made from natural ingredients. It’ll work just as well. In fact, oil is great for removing eye makeup. But you may need to research on what oil can work well for you. Can start with olive oil. Wouldn’t recommend castor oil though cos it can be drying after some time. garage. And ask your sales rep if there is a warranty or repair plan available.